There’s only one segment where a Scandinavian automaker can bring more excitement to the table than good old Jaguar. Attention millennials— the ones with families on the way and 401Ks, not those still waking up for work with a hangover: it's time to get excited for the Volvo XC40. As part of Volvo’s PR campaign for the smallest SUV in its lineup, which is also likely to become its best-seller, an XC40 preview has just been posted to Facebook to rial up some excitement for the Scandinavian vehicle that fits perfectly into the Boulder, Colorado young family starter pack. The video, posted to Volvo’s Facebook account, only gives a few brief glimpses of the production version of the XC40 Concept revealed last year. 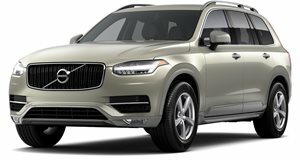 By the looks of its design, it’s obvious that Volvo is taking strong cues from the XC60 and show-stopping XC90, which is a good thing because of the aesthetic value both SUVs exhibit. However, Volvo needed to soften things up a slight bit in order to keep the XC40 looking playful like the youthful owners Volvo hopes will buy this thing. Autocar makes note of the fact that Volvo will stop shrinking its SUV lineup once the XC40 is out, killing rumors that a smaller XC20 SUV would come out to compete with the Audi Q2 and BMW X1. Still, the XC40 will bring the heat to cars like the Jaguar I-Pace. Being the first example of Volvo’s Compact Modular Architecture, we’ll get a taste of the automaker’s approach to luring in young professionals. It'll do that by offering high levels of customizability including red carpet and orange upholstery. “We wanted the XC40 to be a fresh, creative and distinctive member of the Volvo line-up, allowing its drivers to put their personality in their driveway," said Volvo design boss Thomas Ingenlath to Autocar. 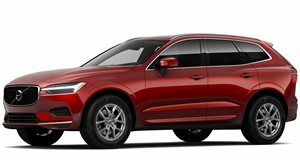 "XC40 drivers are interested in fashion, design and popular culture and often live in large, vibrant cities. They want a car that reflects their personality. The XC40 is that car.” For now, the XC40 sticks to Volvo’s alternative aesthetic while offering next-gen powertrains to stay on top of the competition.